I have two recommendations for apps to use while trying to get pregnant and once you are pregnant. Glow for tracking your ovulation and knowing the best chance of pregnancy and Nurture for when you become pregnant. Both are made by the same developers and easy to use. Best part is both these apps are also free on iTunes and for androids. I love on Nurture! One of my favorite features is the private photo gallery for you to take weekly shots of your growing belly and have it all stored in once place. As weeks go on, it’s super fun to watch it like a slide show and see the incredible progress of growing a child in your womb. 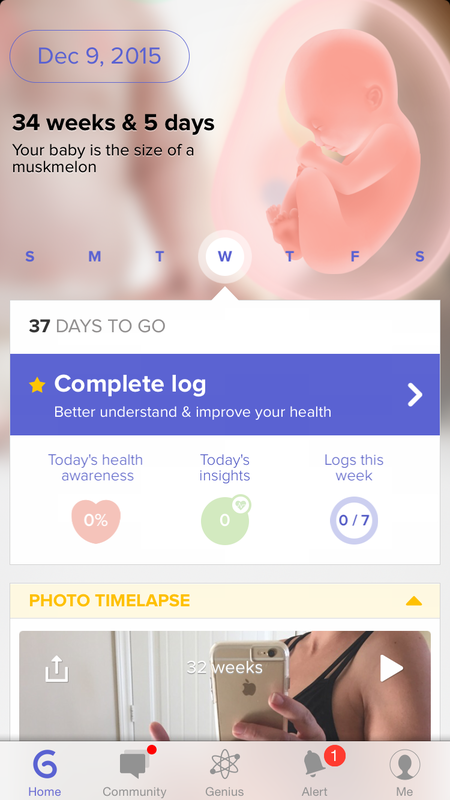 In addition, if you like being part of a larger community you can see what other moms have to say about that trimester, week or day on the message board. I really just use it for myself and to know what week & day I’m at. I also get a kick out of what fruit or veggie it says my baby is that week. 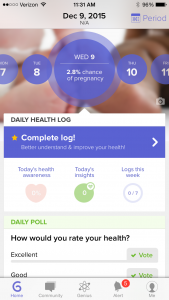 It’s been very helpful and a fun tool for me in my pregnancy. I find the bump to be to commercial and high soliciting for it’s advertisers for my taste, so if you feel the same way you will enjoy Nurture.